Ok. I have been really busy so I have several pictures to post at once. 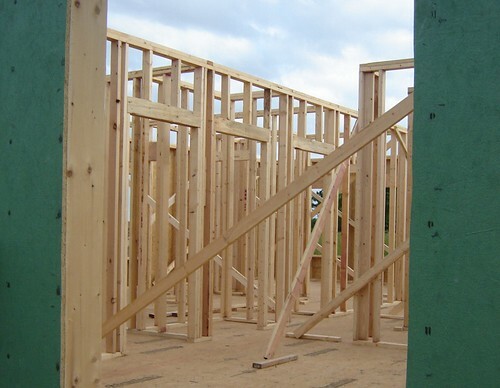 First they framed the inside walls. Then they sheathed the outside walls. This really made a difference in how things look. It is looking like a house. Next they installed the new septic tank, pumped my old one (fun times! ), crushed the old one and hooked me up to the new one. I was only without a septic tank for about 20 minutes tops. It was great!. Today they back filled around the house. Now there is just a small step up to the front door. 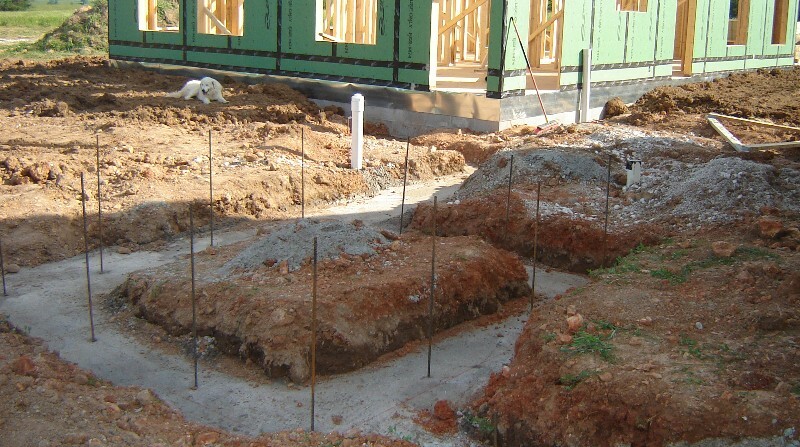 They also prepared and poured the footers for mom's garage and safe room.